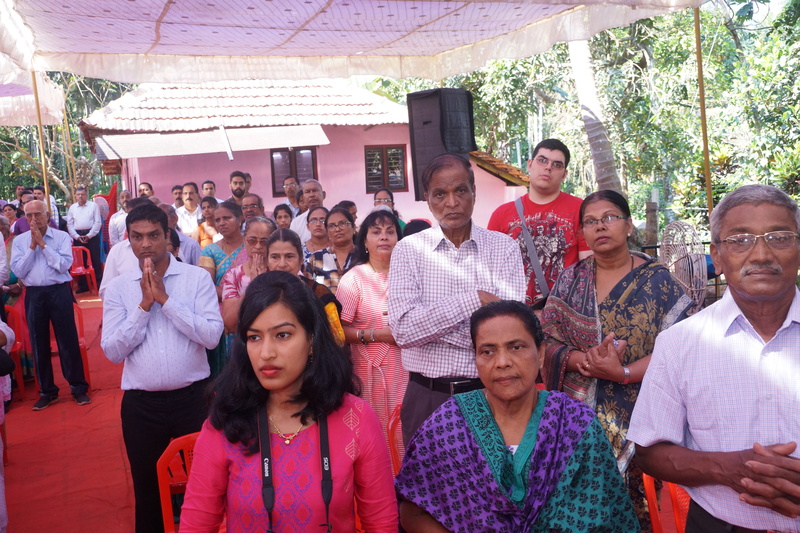 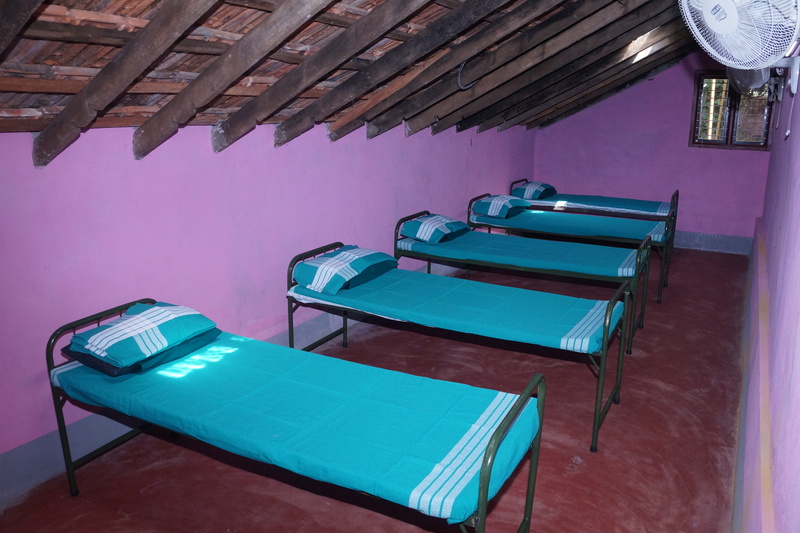 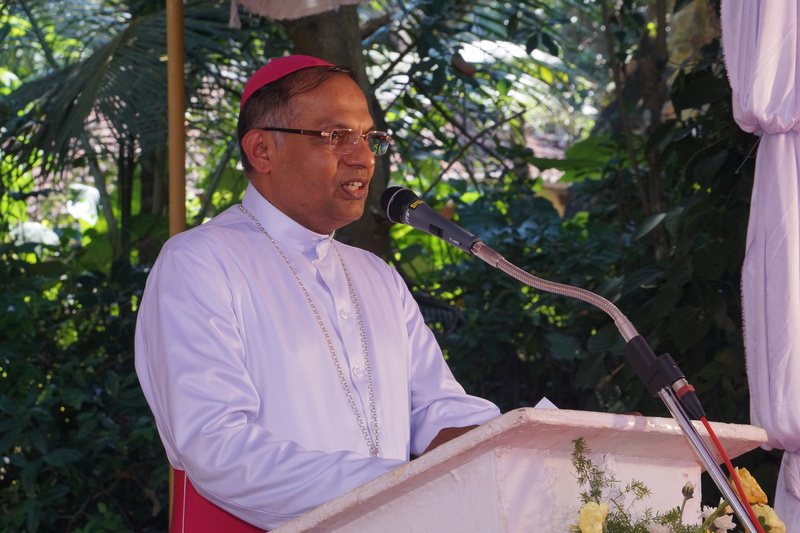 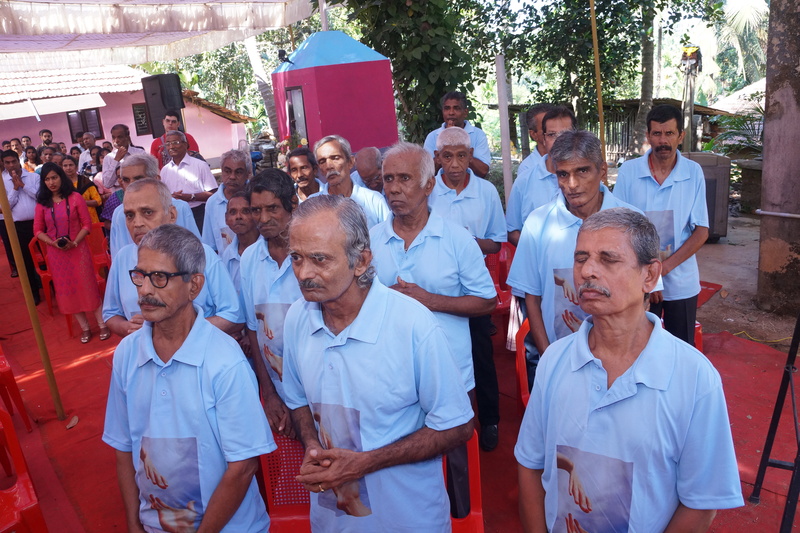 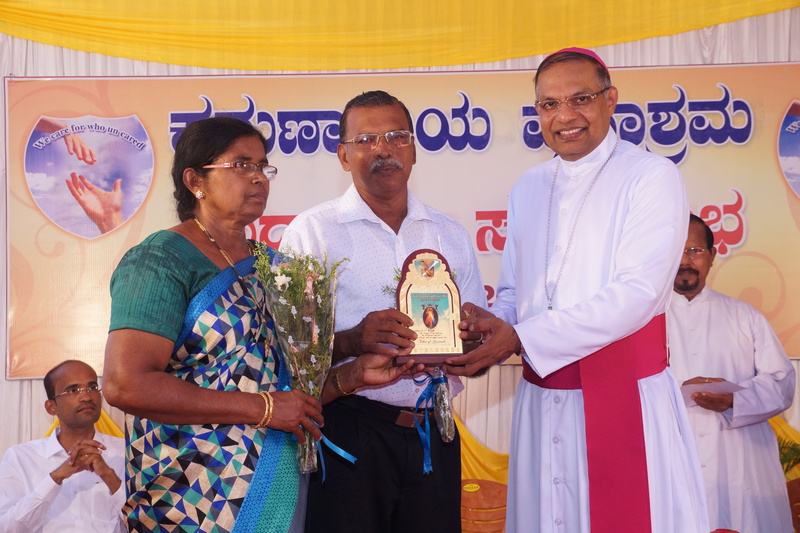 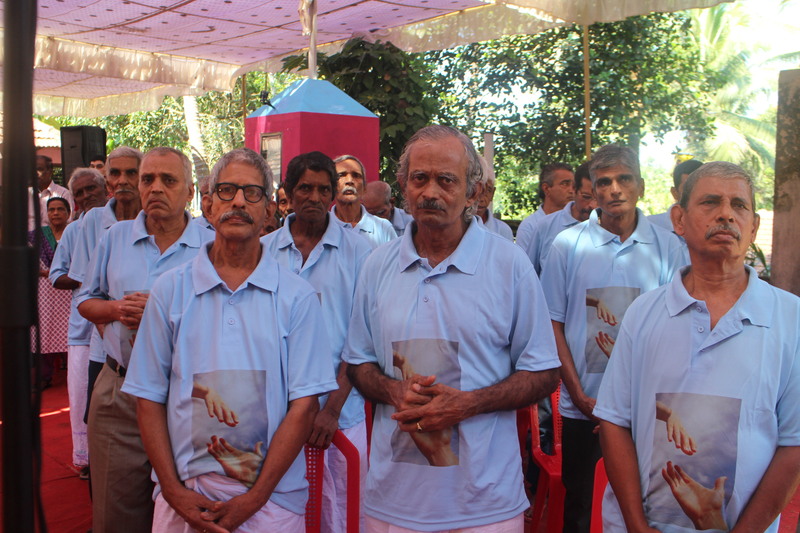 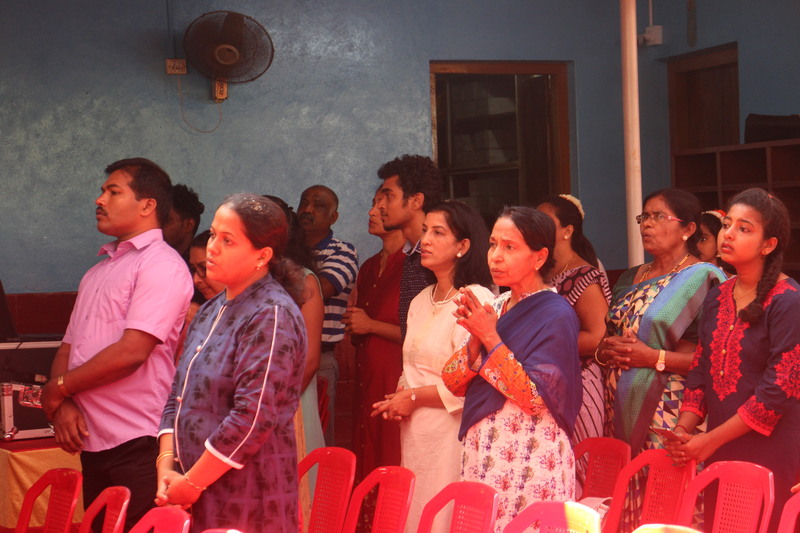 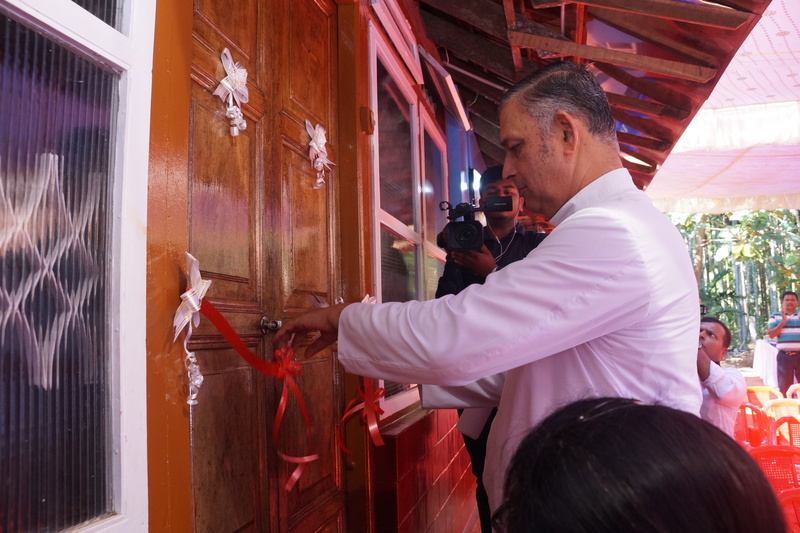 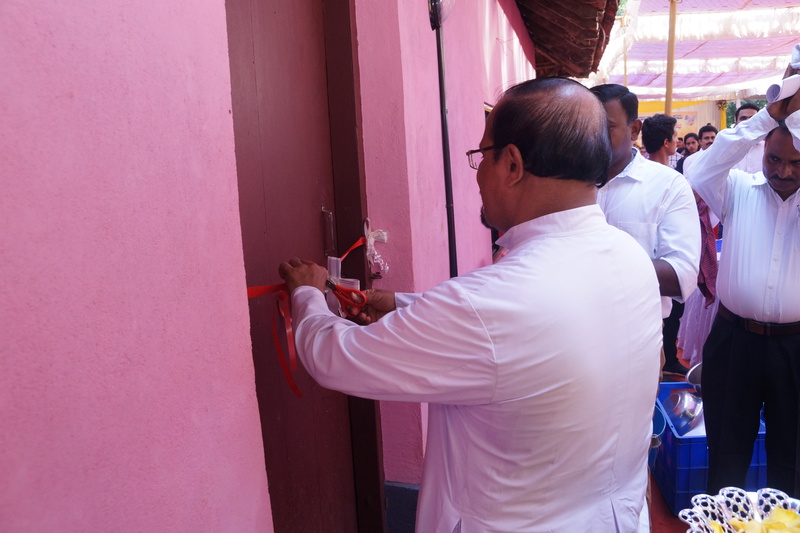 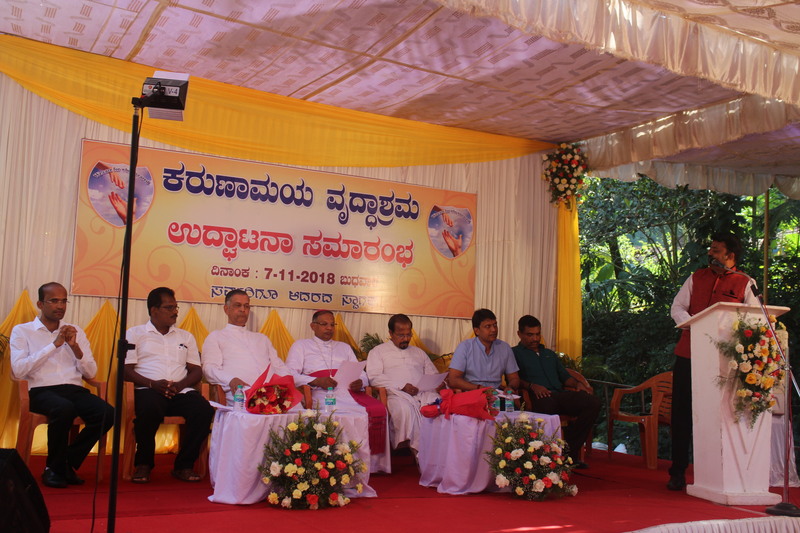 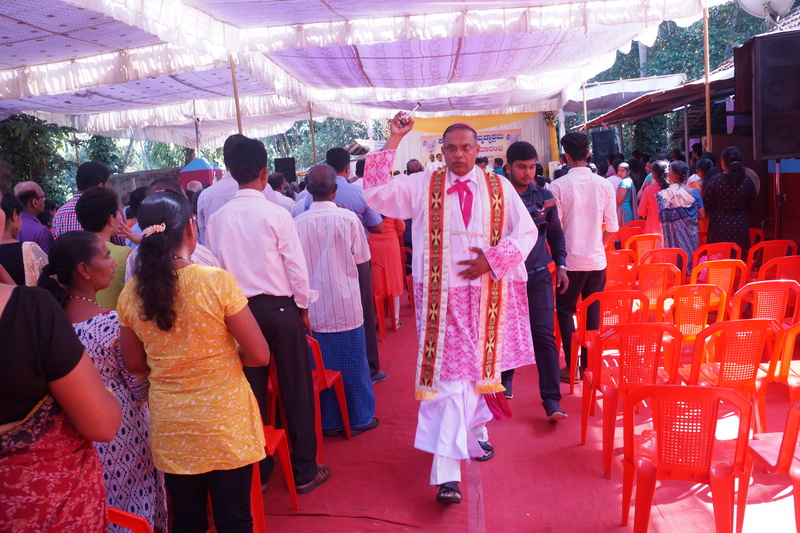 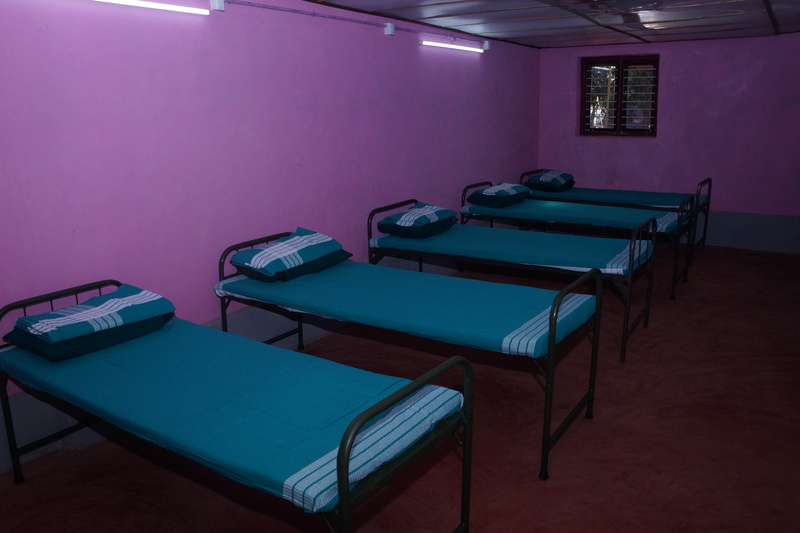 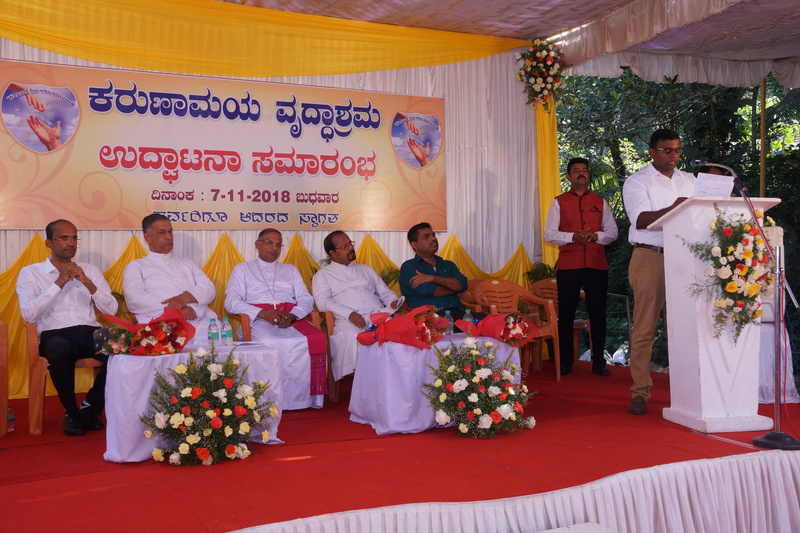 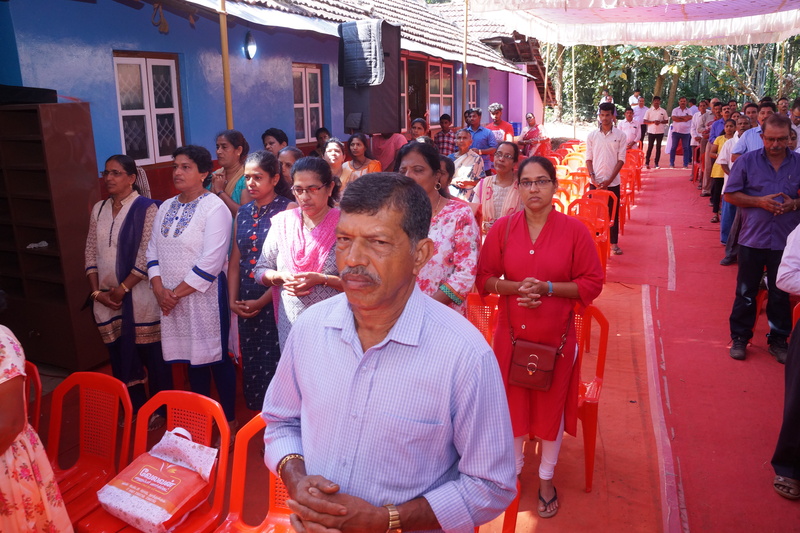 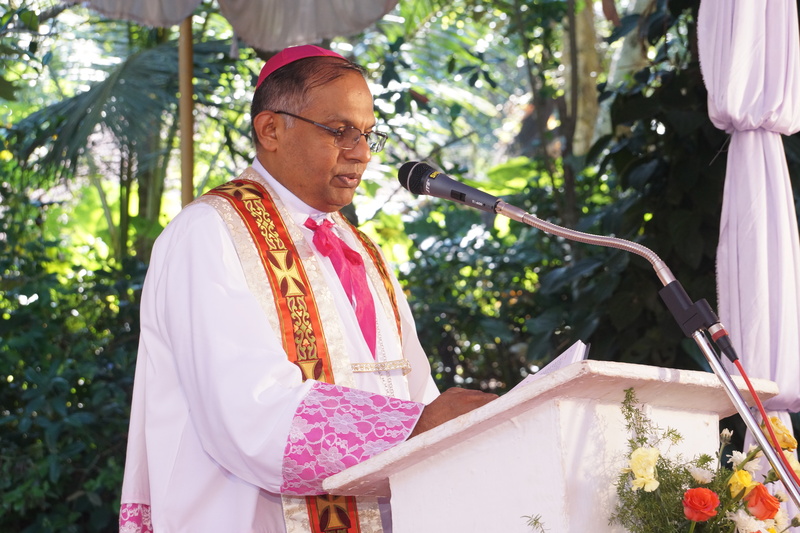 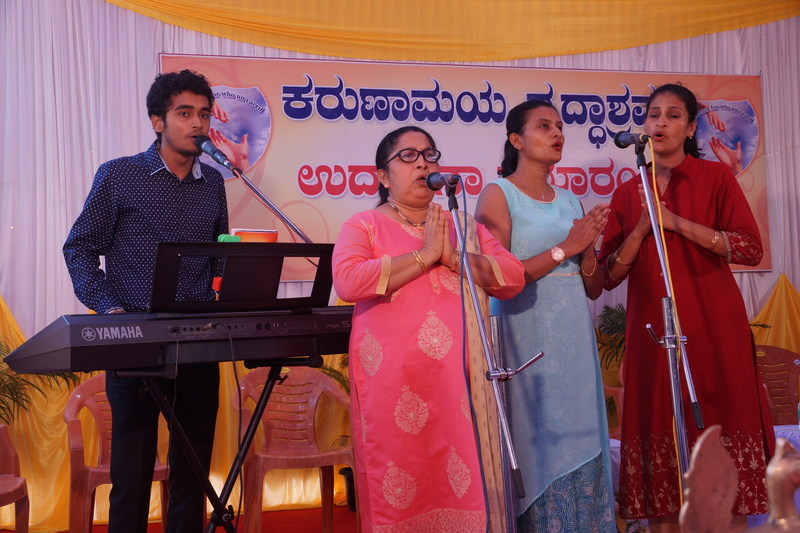 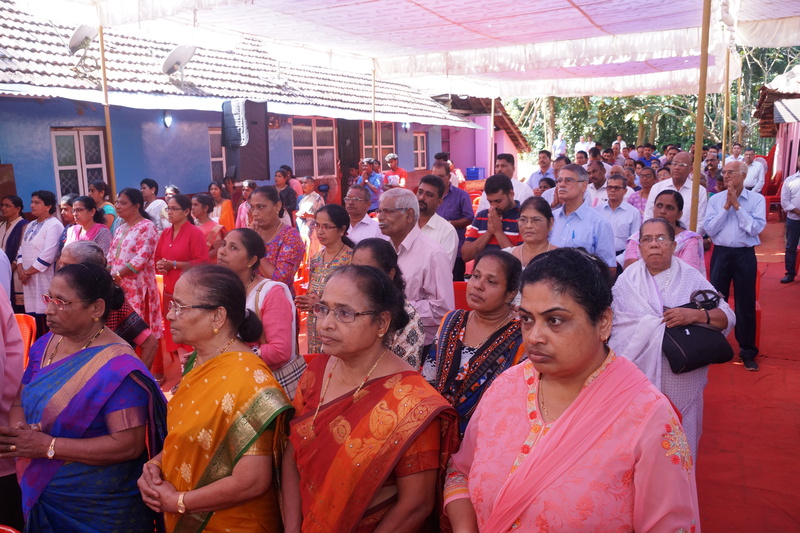 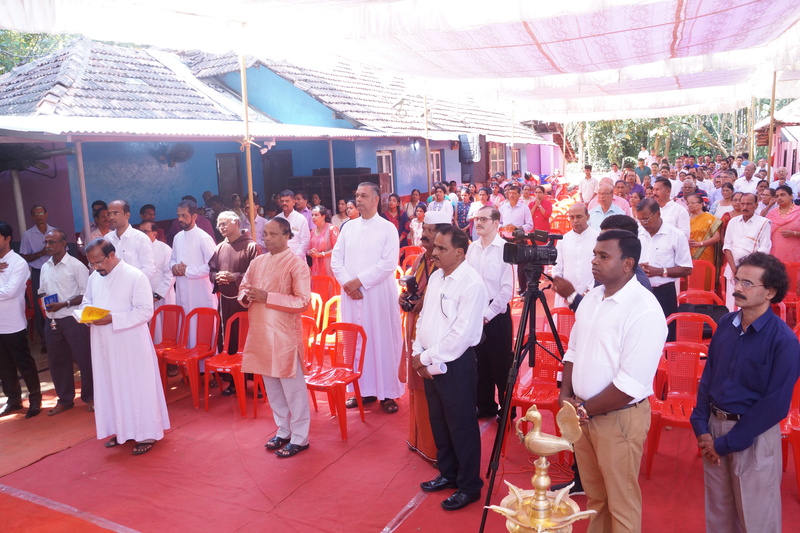 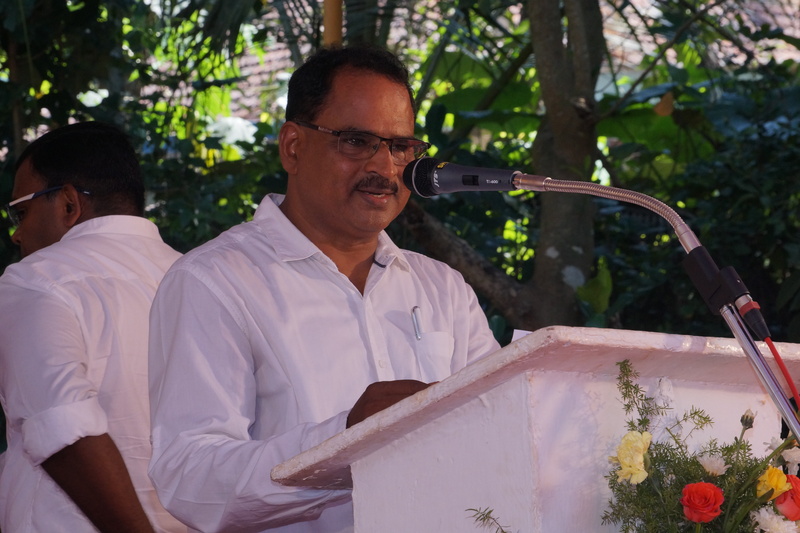 The second Karunamaya Ashram at Permanki was inaugurated by Most.Rt.Rev.Dr.Peter Paul Saldanha, Bishop of Mangalore Diocese, on 7th November 2018. 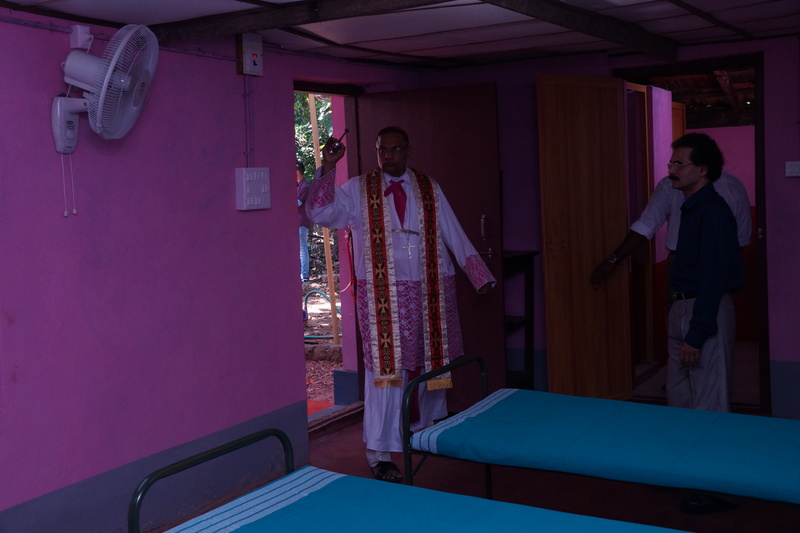 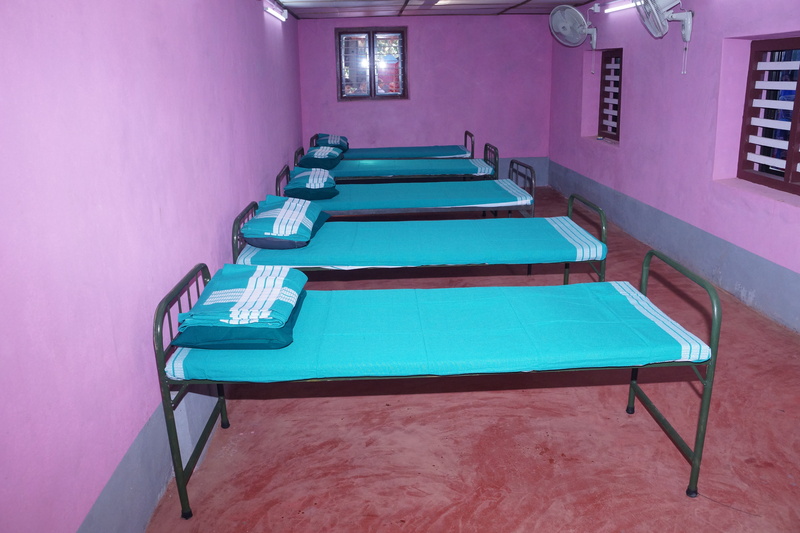 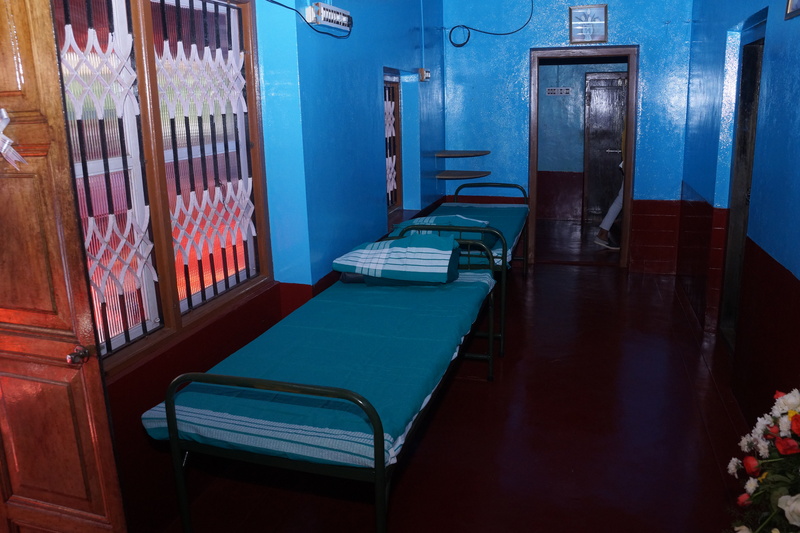 He said, “Running an old-age home is not an easy task. 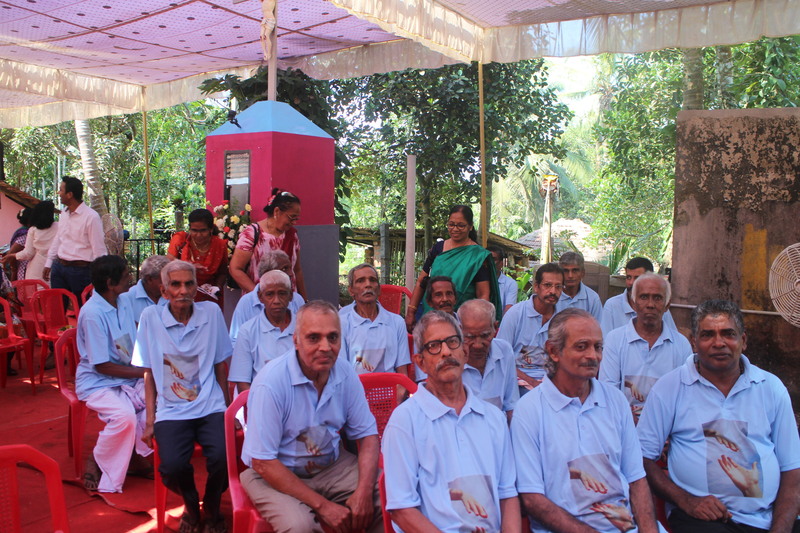 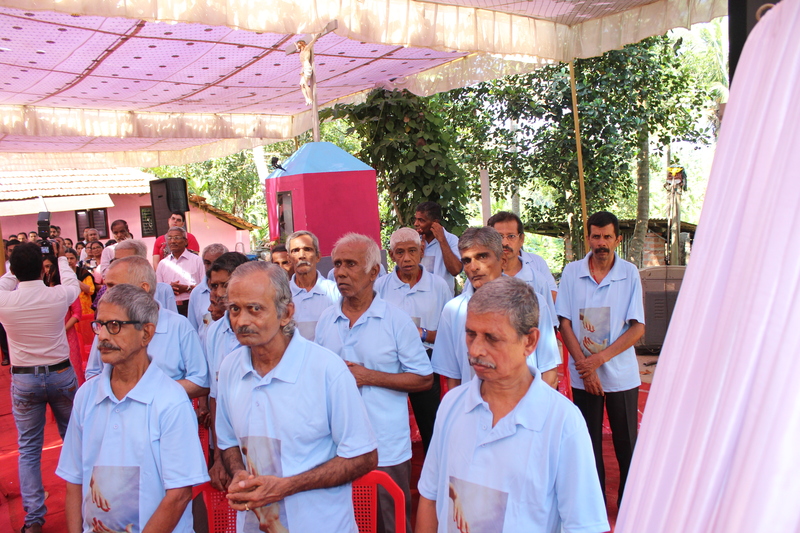 The trustees have taken up this task of taking care of these elderly people like their own family members and are giving them love and affection. 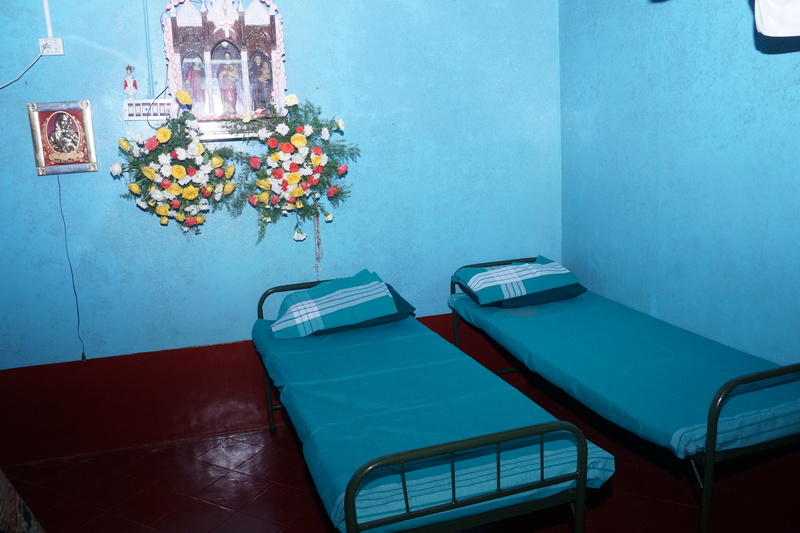 They should not think that they are destitute. 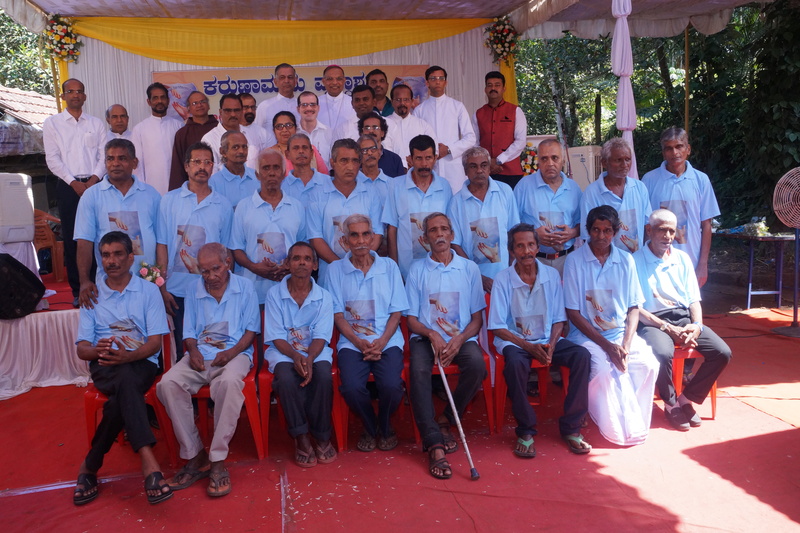 I congratulate the trustees for giving another life to these elderly people.” He blessed the ashram and released the logo and website of Karunamaya ashram. 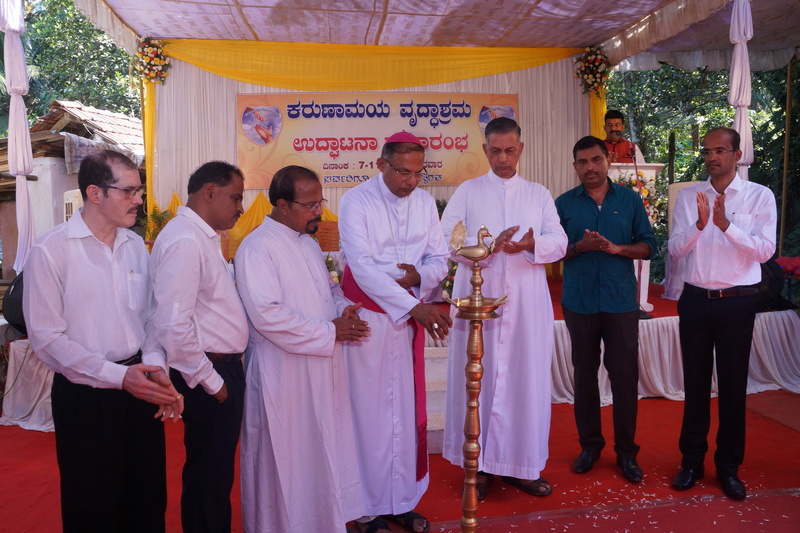 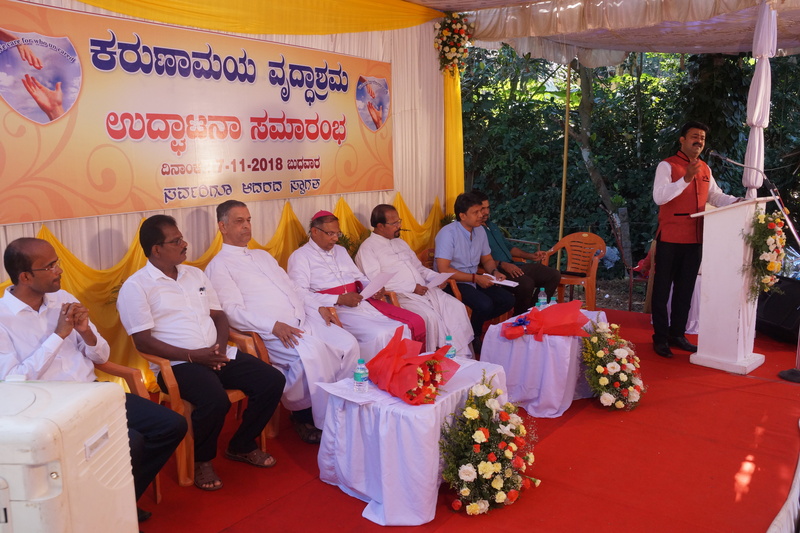 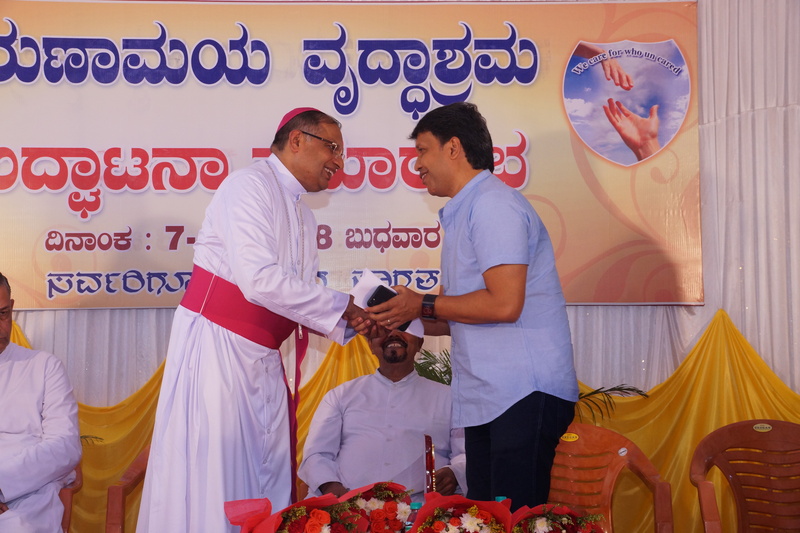 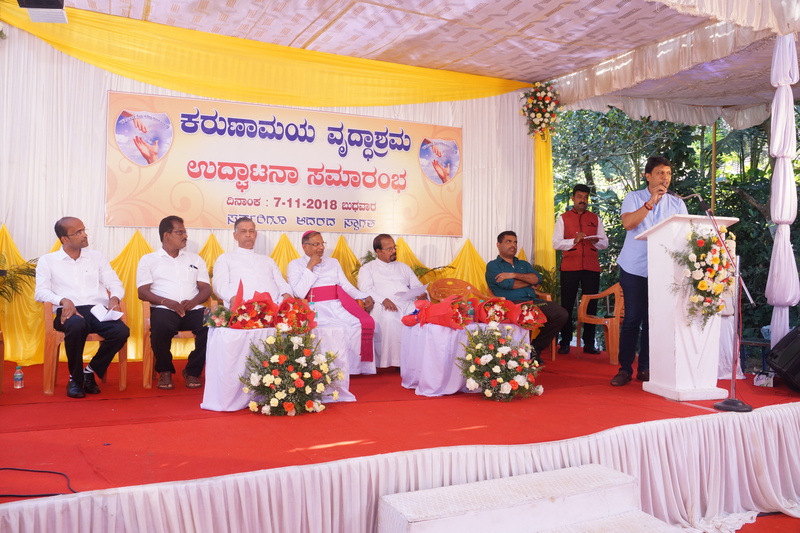 There were several other dignitaries present during the inauguration: Mr.U.T.Khadar (Karnataka State Minister for Urban Development and Housing), Rev.Fr.Louis Cutinha (Parish Priest of Permanki Church), , Mr.J.R.Lobo (Ex-MLA of Mangalore South Constituency), Mr.Vasanth Kumar (President of Ulaibettu Gram Panchayat, Mr.Walter Nandalike of Daijiworld, Mr.Anil Lobo (President of MCC bank), Dr Shailesh Kumar, Orthopaedic Surgeon, Rev.Fr.J.B.Saldanha (Parish Priest of Permannur Church), Rev.Fr.Andrew D’Souza (Parish Priest of Infant Mary Church Katipalla), Rev.Fr.Harold Mascarenhas (Parish Priest of Cascia Church), Rev.Fr.Joseph Vaniyanthara (Director of Divine Prayer Centre in Thokkottu), Rev.Fr.Alban D’Souza (Parish Priest of Kalmady Church), Mr.John Prakash Pinto (Vice-Precident of St.Antony Church), Mr.Antony D’Souza from Permal, Mr.Elias Fernandes (Director of Four Winds Mass Communication), Mr.Elias Sanctis of Vermont Builders & Developers and Mr.Francis Cutinho (Ex-Precident of MCC Bank). 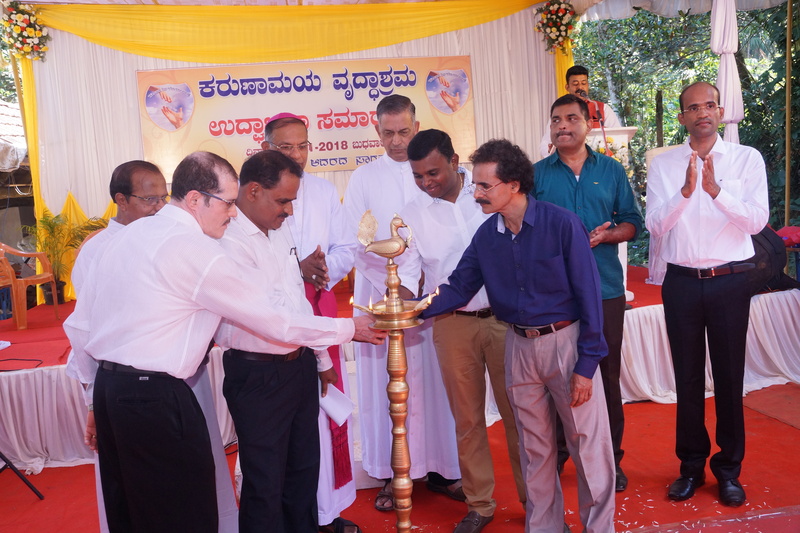 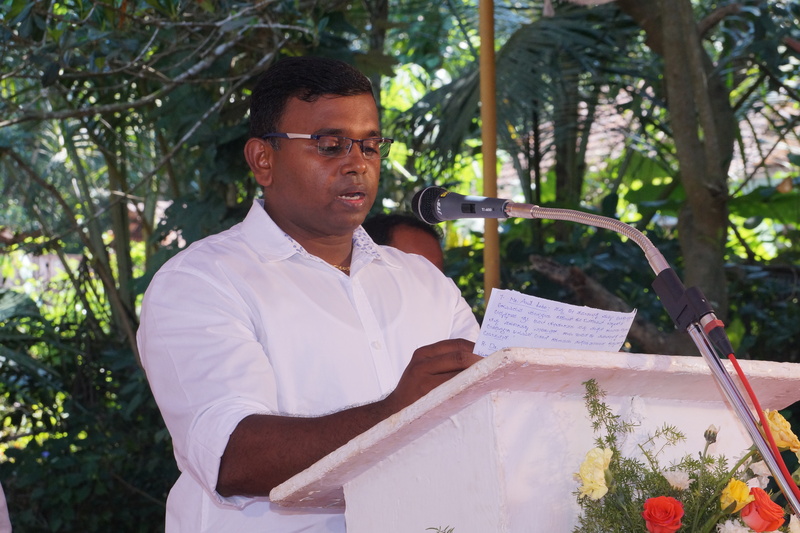 Mr. Manu Bantwal was the Master of Ceremonies. 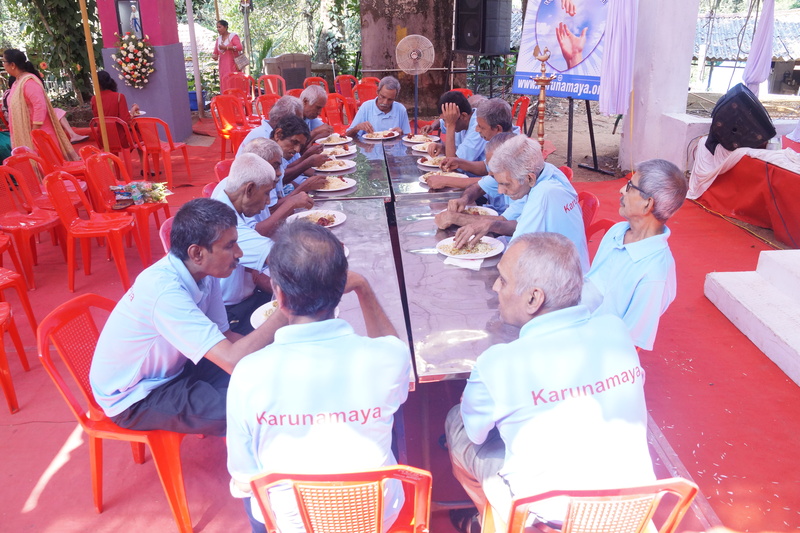 Several people attended the inaugural program and it is truly a memorable day for the entire Karunamaya team, who so selflessly work to give better lives to so many. 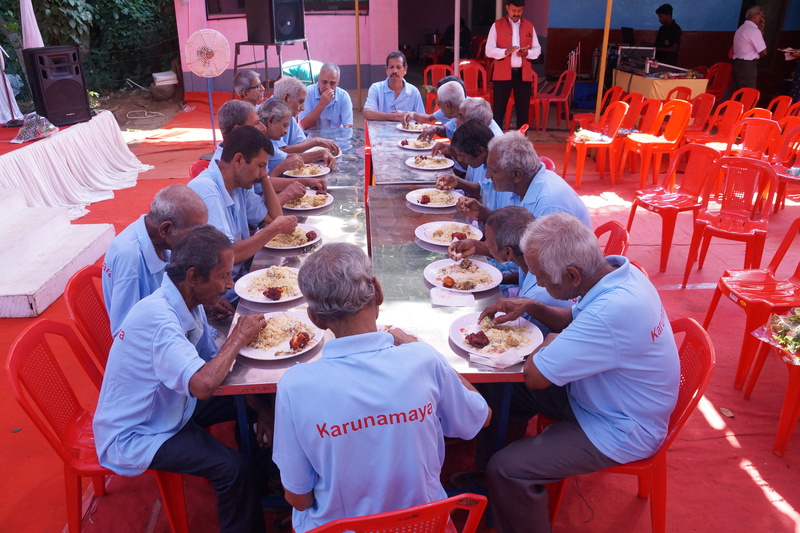 May God bless Karunamaya and may their Ashrams continue to help the down-trodden always.